We are pleased to present new landscapes by Highland-based ALLAN MACDONALD (b. 1965.) 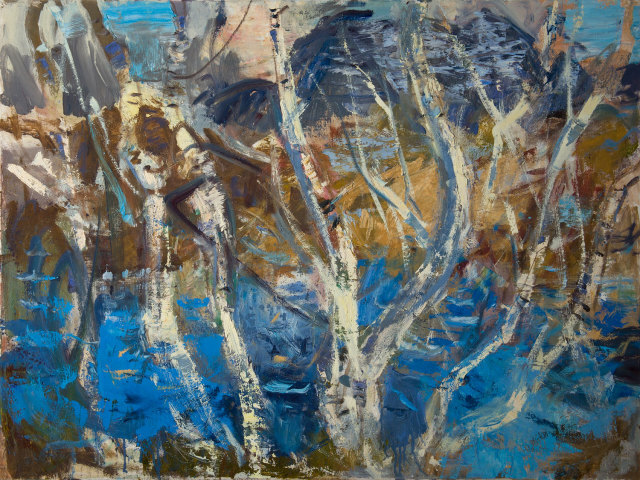 This is MACDONALD’s twenteith year exhibiting in Kilmorack Gallery in which time he has aquired a reputation for his powerful impasto paint. MACDONALD’s work is often large and dramatic, capturing the transcient quality of nature, and pushing forward the frontier of work by of ‘Northern Romantic’ artists such as Canadian Tom Thomson. MacDonad’s most recent painting capture impressions from a road trip north.